Not sure what to cook for dinner? We don’t always have time to prepare gourmet meals. We try really hard to eat well every day, but let’s face it, sometimes we are tired and want something easy. I will make this simple. 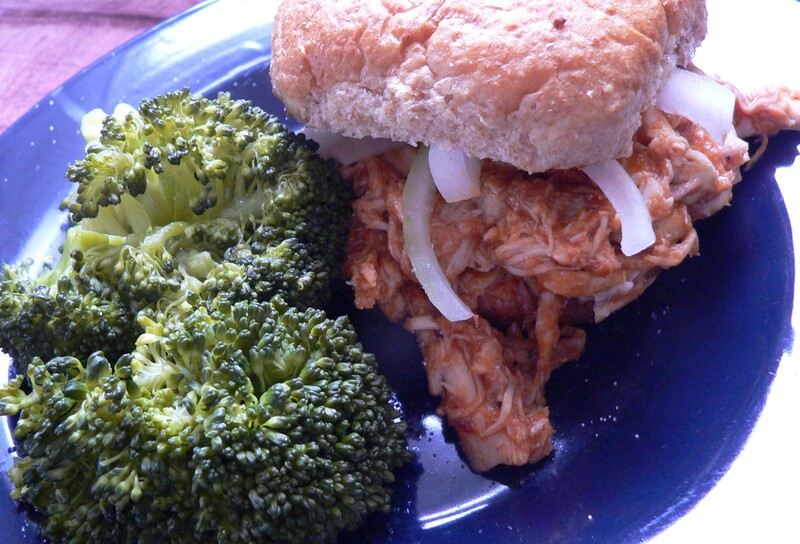 Pick up a rotisserie chicken from the grocery store, along with some buns, BBQ sauce, an onion and broccoli. Remove the skin from the chicken, pull the meat from the bone, and place into a bowl. Work the chicken with your hands, shredding it into pieces. Add your favorite BBQ sauce and mix it well. In this case, I used Sweet Baby Ray’s Original and spiced it up with Louisiana hot sauce. Clean the broccoli, cut into florets and steam. Chop up some onion and you are done. 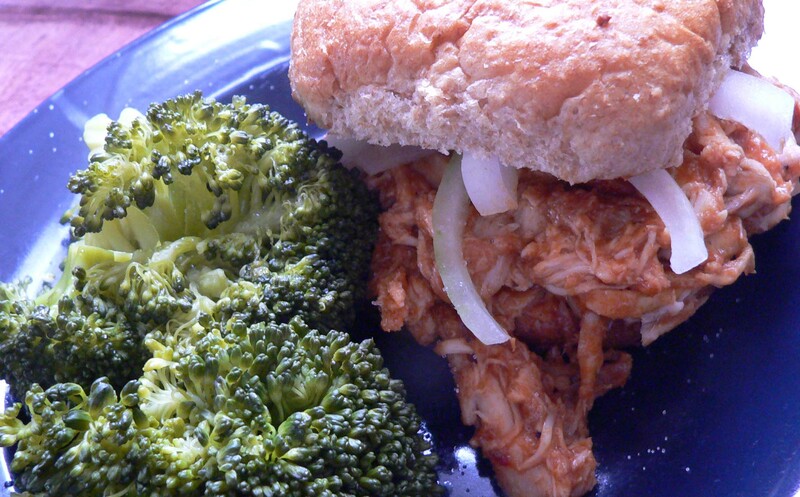 It’s an easy week-night meal in less than ten minutes.